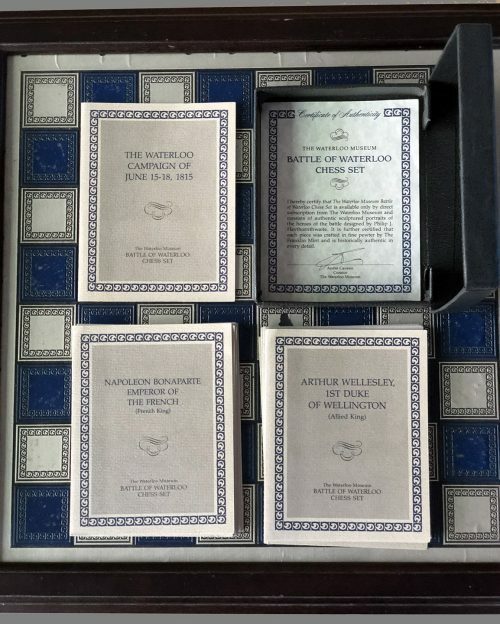 The Franklin Mint Waterloo Chess Set. 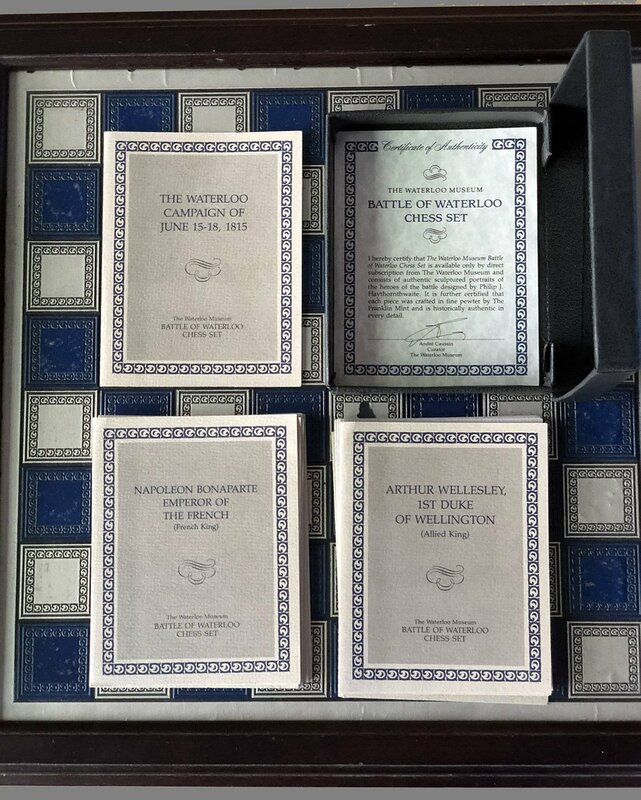 Offered here is an original Franklin Mint Waterloo Chess Set. 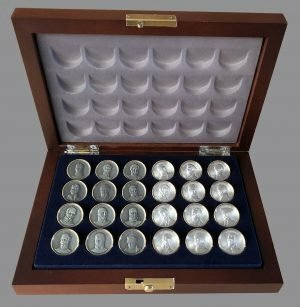 The chess set contains 32 Pewter portrait sculptures mounted atop Red and Blue enameled embellishments. 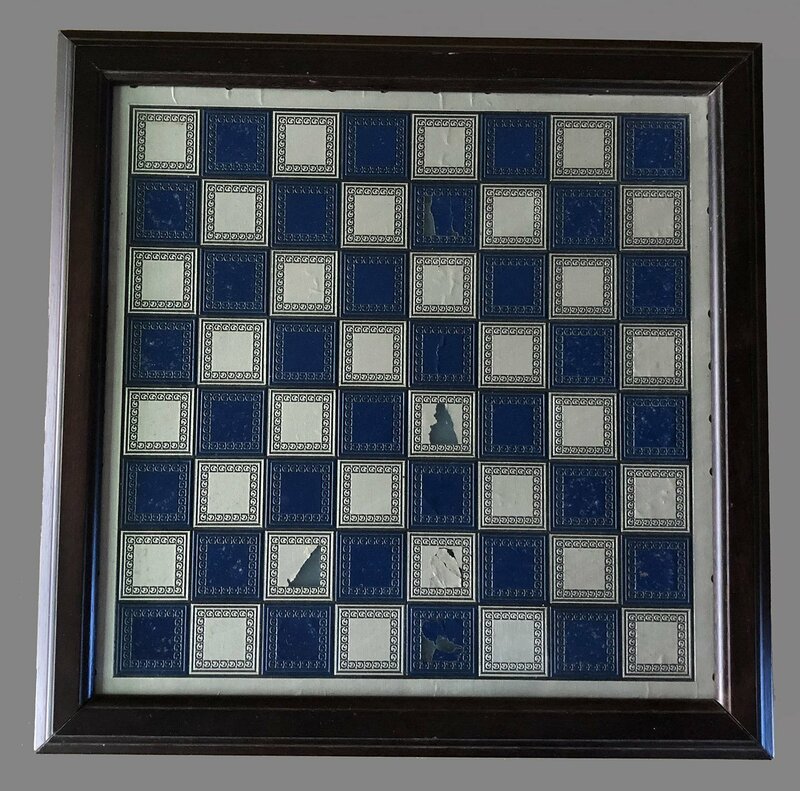 The pewter-finished playing area has a dark hardwood encasement. 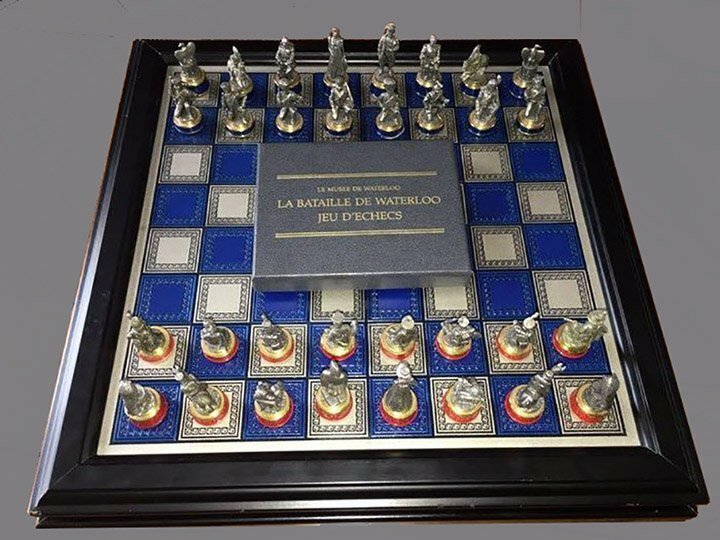 The top of chess board lifts up to reveal separate storage compartments for each of the thirty-two chess pieces. 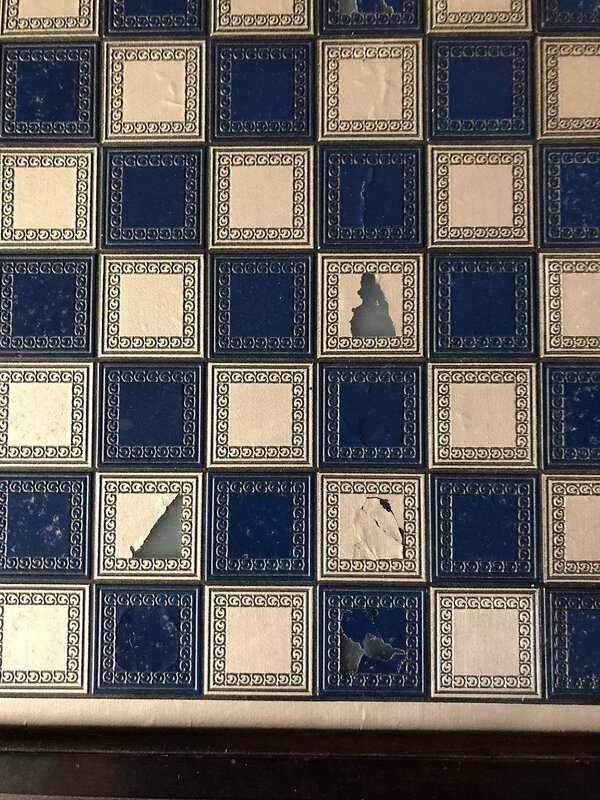 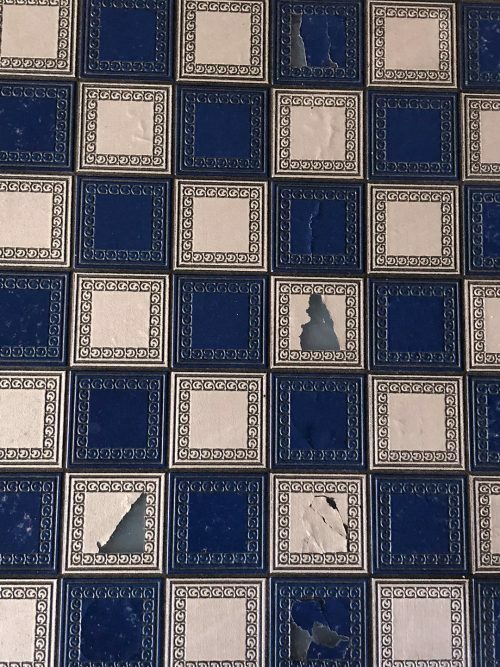 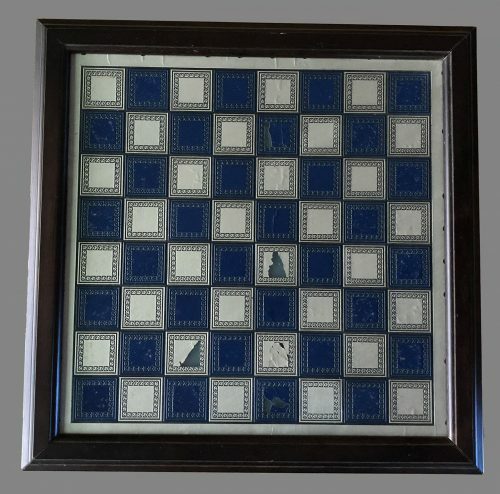 The Chess Board Measures 13.5″ x 13.5″. 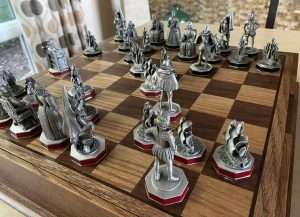 The chess pieces are complete and in excellent condition. 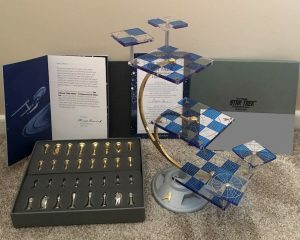 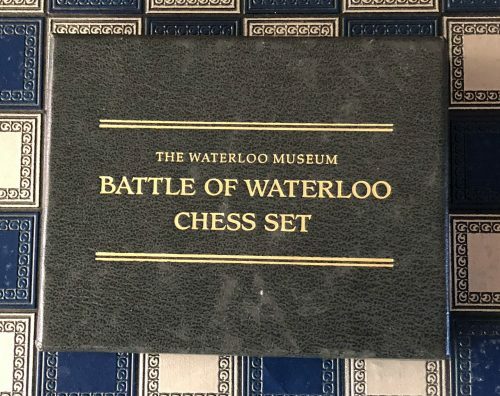 The chessboard shows some enamel chipping as can be seen in the accompanying images Also included The Franklin Mint Waterloo Chess Set is a short history of the Battle and each of the characters and the role they played. 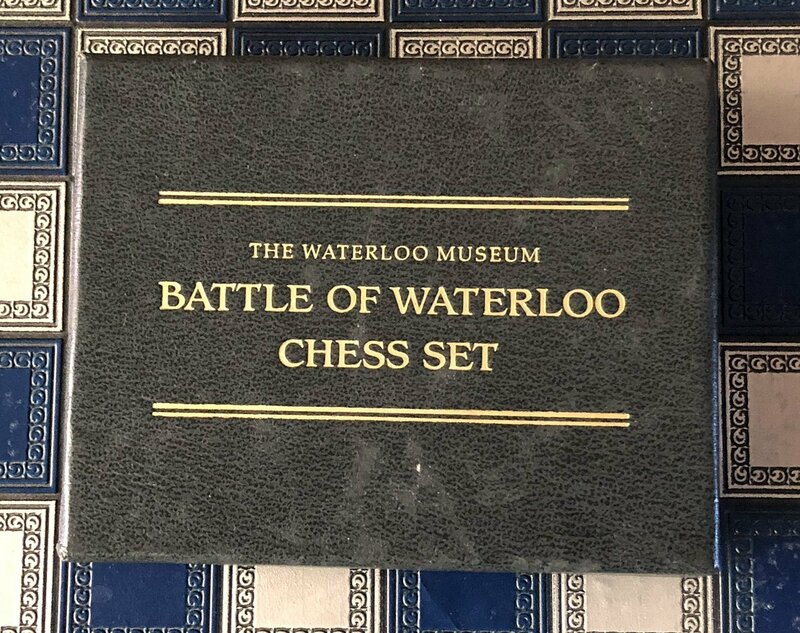 The pamphlets are neatly housed in the original navy blue box with The Waterloo Museum Battle of Waterloo Chess Set imprinted in gold on the lid.